Group classes for session 5 (29 Apr 2019 - 22 Jun 2019) have been updated. No class on 20 April 2019. If you are 6-12 years old and would like to explore fencing, the first class will be the trial class at no cost to you. Please put your child's name and age in the comments when signing up for the trial class. You will receive email confirmation if your trial is approved. Tuition: after the trial class, tuition will be $25/class, applied to the attended class only (please see notes below for cancellation). Tuition can be paid weekly or monthly via cash or check, before or after all classes are taken. 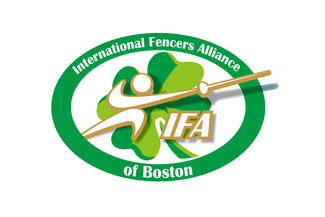 Please make checks payable to "IFA Boston". Membership fee is waived for beginners students. It is recommended for beginners to take weekly private lessons as long as there are available slots. Please visit our website for more information about coach, fencing programs, results, or other information. If you have any questions, please contact us online, or email [email protected], or call (617) 918-7268. Changes within 24 hours: please inform [email protected] or call/text (617) 918-7268. In the no-show-and-no-tell situation (a class is not canceled and not attended), a class will be considered as "taken" and the tuition for this class will still apply.